Whatever the motivation, you know that the time has come to do some painting. Whether you do it yourself or you engage the services of a professional, it will be up to you to make the ultimate decisions about choosing the paint colors and priming walls. Before you start, it might be a good idea to "brush" up on the most recent information about different types of wall primer and paint colors. In other words, get some information to help you think outside the paint can. Here are four things to keep in mind when looking for different kinds of paints and types of wall primer. There is a lot of awareness currently about using products that are not harmful to the environment. Try to find an eco-friendly primer, since this will have the type of quality of ingredients that make the paint purer than traditional paints. Traditional paints have been found to contain ingredients that could irritate individuals and cause various reactions such as nausea and headaches as well as dizziness. People with different allergies, such as a latex allergy for instance, and/or a compromised respiratory system, would benefit from a low odor paint. As you inform yourself about the fumes, solvents, and chemicals in many primers and paints, you will also probably encounter the term “VOC.” VOCs is an anachronism for Volatile Organic Compounds. Simply put, VOCs are compounds that turn into gasses that are discharged from certain items, such as cigarettes, cleaning supplies, paints, and solvents. Not a breath of fresh air, to say the least, so look to avoid VOCs in your paints and primers. Who wants to breathe those chemicals if it’s not absolutely necessary? Well, if your answer to that question is "Not me!" then you're not alone. In fact, if given the choice, 83% of travelers would stay in a hotel that offered allergy-friendly rooms, according to a Cornell University Survey Research Institute study. 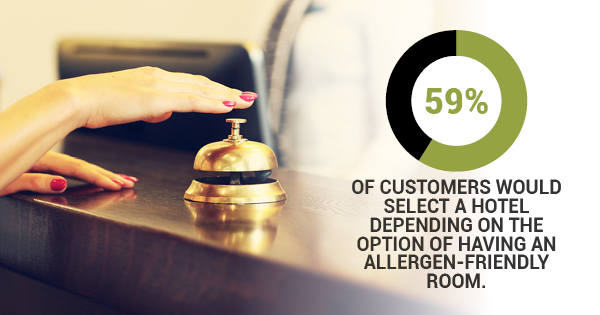 Similarly, the same study shows that 59% would select a hotel depending on the option of having an allergen-friendly room. To sum up, there is no underestimating the impact of irritants and chemicals in different types of wall primer. Sometimes the solvents used in these products are so strong that they are overpowering to individuals. However, with a little research, you will be able to find eco-friendly, high-quality paints and primers for your project. And whether your project is a modest touch-up or a full-blown rehabilitation, you will do it knowing that you have made an environmentally conscious choice in the products you are using.